Reiki works on this physical level to reduce pain and it also works to release stored emotions that are causing us problems. If we are anxious we tend to hold tension in our shoulders, necks or jaws. If we have had a breakup, bereavement or loss we tend to round our shoulders forward and protect our hearts. Reiki goes into areas of tension and gently starts to relax muscles and raises the vibration of every cell in the body so each works at its optimal speed for itself and to be able to exchange energy with its neighboring cells. Closed heart centers open up and energy flows in this area again allowing energy to flow up to the throat and down to the solar plexus centers. In this way balance is achieved like water flowing through an ice cube tray. This brings a feeling of well-being and health. During a treatment, the practitioner mentally ‘plugs’ into the energy that is all around us, rather like you may tune into your favorite radio station. This energy is then drawn through the Reiki practitioner’s body and comes out of their hands and from there into the recipient. The client’s body will draw exactly the amount of energy it needs and in the places, it needs at that moment. In those areas, the practitioner will feel the need to keep their hands for longer and may feel their hands heat up, pulse, tingle or feel cold. The exact sensation varies from practitioner to practitioner. They simply keep their hands in one place until the flow of energy (like the pull of a magnet or the flow of water through a pipe) seems to slow. Energy simply refers to rapidly vibrating particles and the flow of these vibrations from one to the next, like electricity flowing in a circuit or cold air mixing with warm air in a room. The body is made up of billions of tiny vibrating particles. Negative thoughts can slow these vibrations and the flow of energy between the particles. If this slow flow is sustained for long enough we will feel pain and disease eventually. Reiki hand positions correspond to the seven major energy centers along the spine, which is the energy highway of the body. Reiki affects the organ of the body under the hands, an endocrine gland which sends hormone messages around the body and an emotion. The first positions are over the head and affect the eyes, teeth, sinus, and brain etc. so they are good positions to treat headaches or eye problems for example. The hypothalamus, pineal, and pituitary glands are affected in the head which sends all the messages to the body affecting sleep patterns, metabolism, and all the other endocrine glands. It affects issues with speech, strokes, insomnia, nightmares, and depression. Reiki helps with clarity of thought, focus, decision-making, and feelings of depression in this area. The next positions are over the throat, then the heart, solar plexus, belly and lower body. 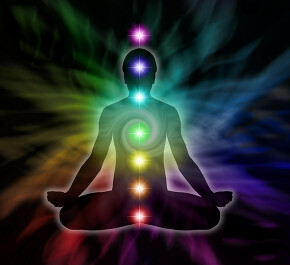 The Reiki goes in and gently gets the area moving again, affecting the organs of the body, the hormones, and emotions. The level of energy in the body is increased and clients feel more relaxed, in less pain, more able to cope. They look calmer and happier. When it has taken a long time to become ill it often takes several treatments before a client begins to notice positive changes, especially for the changes to become self-sustaining. Clients often begin by having a treatment every week and by the third or fourth they can start to leave a longer gap between sessions and still hold the energy.